Graduates of these nursing schools will have the education and hands-on experience to qualify for positions at major healthcare centers. 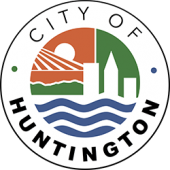 The Huntington-Ashland metro area has numerous large healthcare providers, including Cabell Huntington Hospital, Cornerstone Hospital Huntington, King’s Daughters Medical Center, St. Mary’s Medical Center, and River Park Hospital. Depending on the role, yearly earnings can range from $25,000 for entry-level positions to $165,000 for highly skilled roles. Entry-level roles such as certified nursing assistant (CNA) involve performing routine tasks under the supervision of nursing and other medical staff. Duties include serving meals, transferring patients between wheelchair and bed, bathing patients, and helping them get dressed. CNAs work in state, local, and private hospitals; in nursing homes; and in long-term care facilities. Some also work in private homes. CNAs must complete a brief accredited training program of approximately 100 hours and pass a state certification exam. A highly skilled role such as certified registered nurse anesthetist (CRNA) entails administering general and regional anesthesia, performing physical assessments, and participating in preoperative teaching. CRNAs work in conjunction with other healthcare professionals like anesthesiologists, surgeons, dentists, and podiatrists. They practice in traditional hospital operating rooms, ambulatory surgery centers, pain clinics, physicians’ offices, and the military. CRNAs must hold an advanced or terminal degree from an accredited nurse anesthesia program. They must also possess a valid RN license, one year of critical care experience, and a passing score on the national certification examination. If you’re ready to start your nursing career, we’ve compiled below a list of accredited nursing schools in in the Huntington-Ashland metropolitan area. This should provide a menu of options across all potential nursing career paths and educational programs.